With all of the focus on the legalization of marijuana in Florida, some important information on other types of drug charges may be getting overlooked. Remember that the crack down on drugs is not limited to pot, and even if you are engaged in legal activity regarding marijuana, there are still plenty of illegal activities as far as other substances are concerned. Once final, the legalization of marijuana will apply only to that substance, and if you are caught with cocaine, methamphetamine, or any other banned substance you can be arrested and brought up on drug charges. That you were knowingly in possession of the drug in question. That you were able to exercise control or ownership of the drug in question. These two requirements mean that it is not sufficient to show that you possessed an illegal substance, you must also have done so both knowingly and willingly. These are difficult standards to prove and require an in depth analysis into each facet of your case. The prosecution will work hard to show that you knew you had the drugs on you, and that you did so of your own willful act. Our job is to dispute the evidence offered by the State, and minimize the possible range of punishment you face. This is done through careful investigation and persuasive argument. When an error is made by the prosecution, we point that out to the Court and make sure you get the benefit of a lawful proceeding against you. All cases are different and some are resolve by plea negotiation while others require a trial to prove the truth of the matter. You also need to know that the law defines possession as either actual or constructive. With actual possession it can be more difficult to rebut the presumption you knew you had the drugs on your person. Constructive possession, on the other hand, is a type of possession where the substance is simply near your and/or within your control. For more information about what to do if you are charged with drug possession, call our office. If you have questions about drug possession cases, contact an experienced criminal defense attorney in Stuart and the Treasure Coast for answers. Your first visit is a free consultation and we work with you to reach results that fit your needs. Unless you have a background in science you might be intimidated when trying to challenge the result of a scientific test. The methodology used and the scientific terms are often times difficult for the layperson to understand, let alone question. So if you have been charged with DUI after having “failed” a breath test, you might be thinking that there is little hope for a good defense. But the truth is breath tests are not as reliable as an arresting officer might have you believe, and successful challenges to the test results can be made in a large majority of cases. Challenging the maintenance of the equipment. The equipment used to test the level of alcohol in your system has to be maintained a certain way. You have the right to ask if that happened, and if it did not, the result could be considered unreliable. Question whether the test result picked up the existence of any other substance that may give off the same type of reading as alcohol. There are some over the counter medications, and even some prescription medications, that can cause a false positive. If you had any of these in your system at the time of the test, the result could be wrong. Attack the way the test was given. Were you asked to blow in short spurts, or one long breath? There is a difference and it is important to look at this part of the testing procedure when determining if the results are valid. Were you made aware of your right to refuse the test? Florida has an implied consent law, which basically means that by driving on the roads your consent to submit to the test is implied. But in truth you can refuse, and should be told this is one of your rights. An experienced DUI defense attorney will look at all of these possible challenges, and any others that your case warrants. If you have been charged with DUI, call us for help. We have helped others fight these scary charges, and look forward to helping you too. For answers to questions about DUI cases, call an experienced criminal defense attorney today. Skilled criminal defense attorneys in Stuart and the Treasure Coast are here to help you reach workable solutions. Your first visit is a free initial consultation. Being arrested for DUI means a lot of things, and not many of them are fun. But it does happen, and it happens more than you might think. So, if you have been charged with DUI the best thing you can do is take a deep breath and being to prepare your defense. Preparation should start with contacting an experienced DUI defense attorney, and explaining what happened before, during and after the arrest. The facts you are able to relay to your attorney can help you establish a solid defense, and might just save you a trip to the jail house or loss of your driving privileges. An increase in your insurance rates. Money is tight for most everyone these days, so if you have to pay higher insurance rates, you might have to find other areas where you can cut back on expenses. The requirement that you have an interlock device installed in your car. This device requires you to blow into it before your car will start. If the device detects alcohol on your breath, your car’s ignition will not turn over for a period of time. This means you will not be able to drive, and will essentially be stuck in place. Possible jail time and this depends on whether this is your first offense of if you have a prior DUI but can also depend on other factors. Each case is different, so the chances of having to spend time behind bars will vary from case to case. Possible loss of your driver’s license, especially if you fail to request an administrative review of your license revocation within ten days after your DUI arrest. In many instances you can get at least a limited license, and this will allow you to continue driving for certain purposes. Imposition of monetary fines and penalties. A DUI arrest raises many questions, and we have the answers you need. We understand how important it is for you to stay on the road, out of jail, and to minimize the costs associated with a DUI arrest. This is why we work with you on an individual basis rather than treat your case like all the rest, and develop a defense aimed at a solution that works for your personal needs. If you have questions about how to defend a DUI, contact an experienced criminal defense attorney in Stuart and the Treasure Coast for answers. Your first visit is a free consultation and we work with you to reach results that fit your needs. Being arrested for a drug related offense is a serious matter that can have serious consequences. The punishment for possession or some other drug crime can include jail time and loss of other liberties. This is true even if you are charged in a case that seems minor, such as misdemeanor possession of marijuana. A lot of people don’t consider marijuana to be a “hard drug”, and thus are unaware of how serious an arrest can be when caught with the substance. 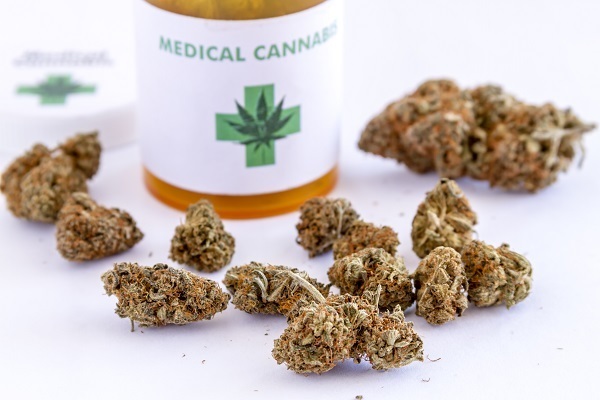 And now that there is movement towards legalization of marijuana for medicinal purposes, the thought of some is that there is no harm in simple possession or that it won’t be long until marijuana is legalized for other purposes. But until that time comes, you do have to be careful and act fast if you are facing possession or other drug related charges. Anything you say to an officer can be used against you, and this is true even if you said something in jest or to an undercover police officer. Because it is hard to know when an officer is taking part in an undercover operation, it is hard to keep your words to yourself. When this instance is part of your case it is time to zip your lips and say nothing further until you give all of the details to an attorney. Talking about things you think you know can quickly become the equivalent of actual knowledge when charges get filed. It is never a good idea to speculate or guess about circumstances, and if you happen to open up to an officer outside of the presence of an attorney, take care not to try and provide an answer to a question you don’t know. The more you say, the more likely you will be implicated in an unlawful act. It is important to exercise your right to stay silent for many reasons, and perhaps one of the most important reasons is because in order to be convicted of a crime the state has to prove certain elements of that crime. Rather than give the prosecution the information they need to establish those elements, stay silent and let a competent defense attorney help you. For assistance with drug charges, contact our office. Call us today schedule an appointment with n qualified criminal defense attorney in Stuart and the Treasure Coast. The first visit is a free initial consultation. Probation is an excellent option if you can follow the rules. If you have been placed on probation then you know that there are certain things you can do and certain things that are prohibited. You probably also know that if you do something that is prohibited you can be charged with violating your probation. A probation violation or VOP is a new charge that you have to defend, and with every violation comes the risk that your supervision will be revoked. All of this is should sound familiar if you have been arrested and negotiated a plea that included a term of probation. But there are also some things about probation that are not as obvious, but just as important. You might be subject to a random drug test, even if you were not arrested on a drug charge initially. If you have been ordered not to “associate” with someone who is engaging in criminal activity, which might extend to minor violations. It is clear that you should stay away from hanging out with people who are dealing drugs or committing armed robbery, but what happens if you are out with a friend who gets arrested for public intoxication? That might be considered “associating with someone engaged in unlawful activity”. Not all scientific proof has to be supported by an actual scientist. So, if you fail a one of the random drug tests mentioned above, don’t expect to get an opportunity to cross examine someone with scientific knowledge about the test itself. Staying out past curfew can be a violation, and as easy as it is to lose track of time, this is a pretty common violation but one that gets little attention. If you are caught committing a new crime, it might not be the best idea to enter a plea to that charge because doing so might be used as evidence in the case against you for VOP. You have to be very careful about how you respond to violation charges, or you risk digging a deeper hole. The idea of going on probation sounds easy enough, but the little nuances described above show some of the complexities that must be considered first. If you have questions about probation or have been charged with a violation of probation, call us for help. For more information about probation and VOP, call us today to schedule an appointment. One of our experienced criminal defense attorneys in Stuart and the Treasure Coast is here to help you and your first visit is a free initial consultation. In November 2016 the most publicized issue at the voting polls was the choice of president, but there were more issues on the election ballot than just the race for the White House. Most states had local issues to decide and here at home one of those issues was the legalization of marijuana for medicinal purposes. Known as Amendment 2, the measure passed with just over 70% of the vote. But the “yes” vote was not an all clear to do as one wishes, and in the months that have followed there have been additional questions that have arisen, and getting answers is imperative if anyone is expected to act within the letter of the law. Of key concern to law enforcement officials is clarification on when, where, and how a dispensary will operate. This type of clarification is needed if law and order is to have any place within this new law. What type of use will be permitted, vaping or smoking? Growers have a large stake in the final version of the law, because they have invested a significant amount of time and money on this issue. The State’s lawmakers have been tasked with implementing a law that operates in the way the voting public expected. The problem is that it is difficult to write a law that encompasses every voter’s needs or wants. The end result could be a law that sees a lot of legal challenges before there is any set groundwork for what is legal and what is illegal. In the meantime, we will keep our eyes on this very important issue, so we can provide accurate advice when required. It is also important to remember that the law will not give a blank check for things like distribution, possession, or other illegal drug activity. If you have questions about the status of medical marijuana or have another drug crime related mater that needs attention, call our office. We have experience defending people charged with drug crimes and will aggressively defend any charges against you. For more information about drug charges, call our office. Schedule an appointment with an experienced criminal defense attorney in Stuart and the Treasure Coast. Your first visit is a free initial consultation. Most people know that if they agree to go on probation, they will have to follow certain rules and procedures and if they do not, that their probation can be revoked. It is also pretty common knowledge that when probation is revoked, you face a much more harsh punishment, which could lead to you spending some time in jail. 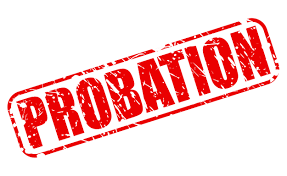 But there are other aspects of probation violations that are not as well-known, but should be if you are considering going on probation or have been charged with a violation of probation. There is no time limit for pursuing the violation. So if you think you can avoid prosecution of a violation by leaving the state, you will be surprised upon coming home to find out you are still liable for the violation and could be arrested and hauled into Court to face the charges. The standard for a conviction is not as stringent; the State does not have to prove your guilt beyond a reasonable doubt. When the legal standard is not as high, the likelihood of being convicted increases. You will probably be denied bond while waiting for your hearing. This is different from the first time around, where you likely bonded out while you waited to go to Court and agree to your probation. The right to a trial by jury is not an option, so the Judge will be the one deciding your fate rather than a “jury of your peers”. Most times Judges are more hardnosed than what a jury might be, so you have to fight even harder for a good result. The rules of evidence are not as strict, and hearsay statements can be brought into Court and used against you. You will be asked questions, the answers to which may amount to you basically incrimi9nating yourself. This list makes it easy to see how important it is to stay on track while on probation, or else you could fall victim to a more harsh punishment. If you have been arrested for a crime, let us help you get the best result possible. If probation is right for you, we will work hard to make sure the terms are ones you can follow and that you understand. If you are already on probation and have been charged with a violation, we can help there too. Call us today to find out more. When you agree to a term of probation to resolve a criminal charge against you, you have to be sure to follow the rules to the letter or you risk violating your probation. If a probation violation occurs, you can be charged with the new crime of probation violation as well as whatever crime led to the violation. This amounts to at least two new charges against you, and you also no longer get the benefit of your probation agreement, which means the original charge can now be prosecuted in full. These possibilities are severe, and can lead to jail time and additional fines that have to be paid. So, if you are charged with violating your probation, you need to know where to turn for help. Your probation will be revoked, leaving you to stand and face the full range of possible punishment for the original crime. You will be charged with whatever new crime has been committed, and may not be offered probation as a way to resolve that case. You will be charged with violating probation, which is a separate charge in and of itself. You could be arrested, or have a warrant for your arrest issued that leads to an eventual arrest. You may have to spend some time behind bars. Most probation violations are defined as actual violations, which means the defendant has committed a new crime while on probation. But it is also possible to commit a technical violation of probation, which could be something as minor as forgetting to pay a fine when due or failing to report in as scheduled. In order to avoid a violation, make sure you understand all of the terms of your probation before the agreement is final. The best way to do this is to have a competent defense attorney negotiate your probation. Our staff is skilled at working out probation plans that make sense, and that you can follow. Because if your probation contains unreasonable terms, the chances of being successful while on probation are slim. For help, call us today. Being arrested for DUI is confusing, scary, and can leave you wondering what to do next. The steps you take in the days after your arrest can help to shape your defense, so it is important to know some basics. The first thing you need to do, and this happens the day of arrest, is to bond out of jail and make arrangements to get your car back if it has been impounded. After that, take a breath and a moment to gather your thoughts, so you will be ready to help with the defense of your case. While a qualified DUI defense attorney will handle the legal aspects of your defense, your input is vital to a successful outcome. Day one: call an attorney and make an appointment to discuss your case as soon as possible. If not that day, then within the next two days is best. Day two (or three): sit down with your attorney and tell him or her how the arrest happened. This is the time for you to tell your side of the story, and also to make sure your attorney has the information needed to request an administrative review of your driver’s license revocation. This review is required to be requested within ten days of your arrest, and it is always best to do it right away rather than wait until the last day. Day four: keep quiet about the case, unless you are talking to your attorney. By now you might be feeling OK about the incident, and ready to “unload” on a good friend. But doing so might put your case in jeopardy, so it is best to keep your communications protected by only talking to your attorney about your case. Day five: make sure your attorney has all the information they need, then rest easy knowing your case is in good hands. You might be tempted to try and figure out some of the steps on your own, but doing so may cause more anxiety. If you are unsure about what is going on, or what to expect at an upcoming hearing, call your attorney. It is possible to live a normal life while your case is pending, and we can help. By letting us handle your DUI case for you, you take that stress off of yourself, so you can keep up with school or work. If you questions about DUI cases, contact an experienced criminal defense attorney in Stuart and the Treasure Coast for answers. Your first visit is a free consultation and we work with you to reach results that fit your needs. To start at the beginning, and challenge the initial traffic stop as a valid stop. If the traffic stop that lead to the arrest was not a lawful stop, the case against you should not hold. Challenge the breath test results. Many people think these results are foolproof and not worth fighting over, but the truth is there are a lot of instances where breath test results are not valid. When the evidence used to arrest you is not reliable, you have a good defense. File requests to keep certain pieces of evidence out of court, especially any “admission” you may have inadvertently made at the scene. Challenge the field sobriety test. This is a different type of test than the breath test, and it should be given special attention separate and apart from the attack you make on the breath test. An experienced DUI defense attorney can help formulate one or more of these defense strategies, and then implement it on your behalf. The first step is to talk it over with your attorney, and make sure you advise him or her of all the facts. 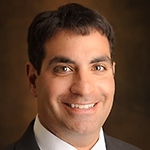 We have a qualified team of defense attorneys ready to talk to you about your case today.